To use certain parts of this Website, you will be asked to provide information about yourself, such as your first name, e-mail address, password, city, state, country zip code, or postal code. You are entirely responsible for maintaining the confidentiality of your account information, including your password, and for any and all activity that occurs under your account. You agree to notify Logitech immediately of any unauthorized use of your account or password, or any other breach of security. You may be held liable for losses incurred by Logitech or any other user of or visitor to this Website due to the use of your Logitech ID, password, or account by another person. You may not use anyone else’s Logitech ID, password, or account at any time without the express permission and consent of the holder of that Logitech ID, password, or account. Logitech user account and passwords are for individual use only and should not be shared. Group-based and generic accounts are prohibited. Logitech cannot and will not be liable for any loss or damage arising from your failure to comply with these obligations. All text, graphics, user or visual interfaces, trademarks, logos, music, sounds, artwork, photographs, and computer code (“Content”), including but not limited to the design, structure, selection, coordination, expression, “look and feel,” and the arrangement of such Content, contained on this Website is owned, controlled, or licensed by Logitech. All such Content is protected by trade dress, copyright, patent and trademark laws, and various other intellectual property rights and unfair competition laws. Unless another agreement applies to particular Content (e.g., Software License Agreement, Terms of Service, etc. ), Logitech hereby grants you limited permission to use the Content subject to these Terms, as long as the use of such Content is solely for your personal, non-commercial informational use. Certain areas of this Website may allow you to post content, including your experiences, advice, recommendations, opinions, information, messages, or other material (“Your Content”). Please be aware that these areas are public and not confidential. You may only post Your Content to public areas and where you have permission to post. You may not post any content that violates these Terms or any third party rights. Logitech does not claim ownership of any of Your Content that you may post. However, by posting Your Content to public areas on the Website, you grant Logitech, its affiliates, partners, and distributors the perpetual, irrevocable, royalty-free right to use, copy, display, perform, distribute, adapt, create derivative works, sublicense, and promote Your Content in any medium and any manner whatsoever, and to use and sublicense your name, likeness, biography, voice, video, and photograph (if applicable) to attribute your postings to you. In addition to Your Content, we encourage you to provide us with feedback. You agree that we may use in any manner and without limitation all comments, advice, recommendations, suggestions, complaints, and other feedback you provide relating to this Website, Logitech products and/or services, and that Logitech will own all intellectual property that we create based upon or incorporating your feedback. 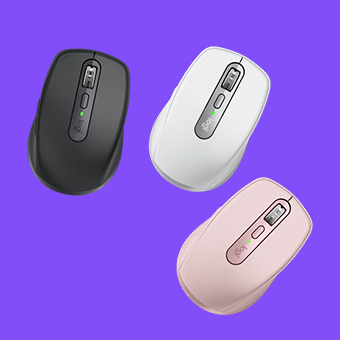 Logitech reserves the right at all times to disclose any information that Logitech deems necessary to comply with any applicable law, regulation, legal process, or governmental request. Logitech may also disclose your information when Logitech determines that applicable law requires or permits such disclosure, including exchanging information with other companies and organizations for fraud protection purposes.